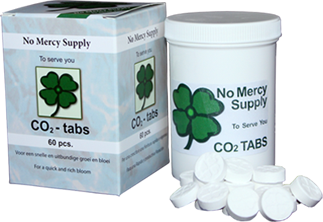 With this package of CO2 Tabs you will possess a revolutionary new and very powerful product aimed at plants on any growth medium. These simple – and cheap! – Tablets are specially developed to replace the complicated and expensive CO2 fertilizing systems used until today. Only healthy plants will be able to effectively use this extra input. During extensive testing we perceived as the possible side affect a shortage of magnesium due to the high speed of growth. The tabs release the CO2 in the water and thus stimulate the growth. Healthy plants can absorb many times more of this important nutrient CO2 as is available in the air. Attention: Adding CO2 short before the dark period doesn’t give any results! During the dark period the plant doesn’t absorb any CO2. The tabs bond the CO2 about 4 to 6 hours to the offered water. Application: When your plants (or cuttings) are healthy you can use 1 tablet per 100 liters of water. In hydro systems you can also simply add the tablet to the barrel. Overdosing is neither harmful nor useful. 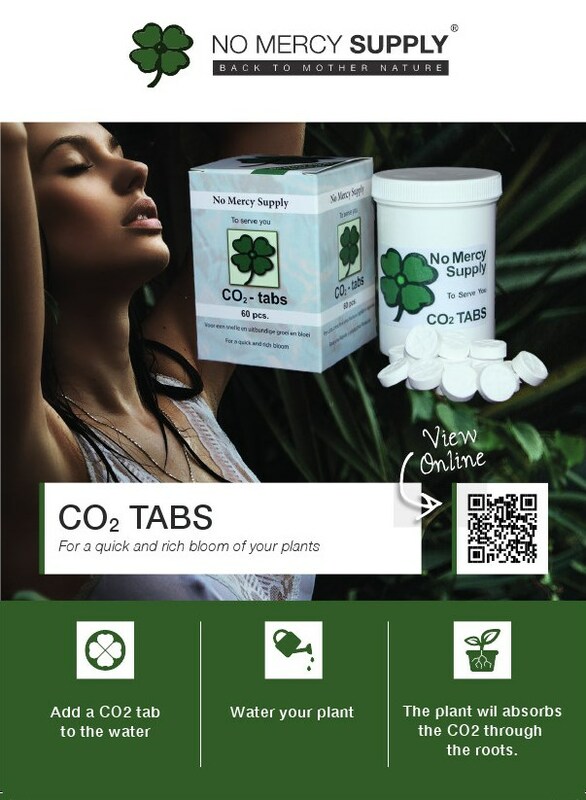 If you want to add the CO2Tab instantly, first solve it in a cup of water (gently crush the tablet with your finger in the water) and mix it the with the water that is intended for the plants. Apply twice weekly for optimal results, and preferably during the whole growing cycle of your plants.